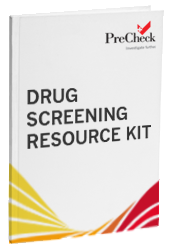 Managing an employment drug testing program can be a daunting task, but our drug screening resource can help you implement an effective and compliant program. To access our resource kit, simply complete the form below. There are many parts to an employment drug testing program from collection to the Medical Review Officer (MRO). Get access to the best practices for improving your organization’s program. With the Office of Inspector General (OIG) recommendation for all healthcare workers with access to undergo random drug testing, having an effective program can benefit your healthcare organization.